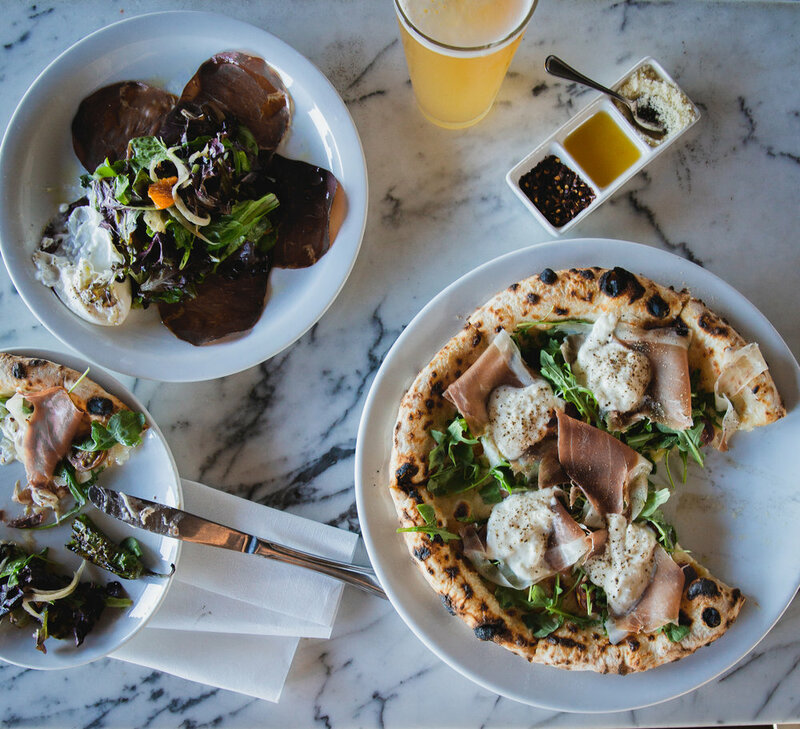 We are a brick + mortar, garage-turned-pizzeria located in Costa Mesa, CA. We specialize in the finest quality Neapolitan style pizzas + tapas with a unique hint of Japanese influence. Our location has a beautiful large indoor space, plus an additional patio space for private events, meetings, holiday parties, rehearsal dinners, paint night , presentations, birthdays - anything you can imagine, we host it! We offer an individualized menu and special event pricing available anytime!